We’ve had the pleasure of interviewing James several times and he’s always a joy to talk to and answers each and every question. This time, it was no different. If this is the final season of Major Crimes, we ask James what fans can look forward to with the sixth season, how he intends to keep in touch with fans of the series and what he’d like the legacies of both shows to be. Pop Culture Principle – The season 5 two-parter was originally planned as a series finale. Can you talk about initially writing those episodes at the time not knowing if there would be a sixth season and did you write multiple endings? James Duff – Yes, I had written three endings for that two-parter and the one we had, I extended the story by an act and a half because originally, things were going to go differently. Then obviously, things changed when the network decided to give us another season. Pop Culture Principle – After the series was picked up for a sixth season and you started mapping out the season, did you have the thought of this being the final season and did that affect your writing for the series? James Duff – Not at the beginning. We started shooting so much later than we began breaking stories. We were unaware at the beginning that we were not coming back in the summer. As soon as I saw that we weren’t coming back in the summer, I began to realize that we were on our last legs. If you read my Facebook post, I listed a bunch of reasons why. We put in place something that we could cut around in case it wasn’t our last season and then we sailed with it once we realized it was the last season. We were going back and forth about how we wanted to do things. Mary and I were talking constantly as well as Mark Robin and I were talking constantly. Pop Culture Principle – We will see the return of Phillip Stroh in the sixth season. What can you tell us about his return? James Duff – I can tell you his entrance into the story is shocking and entirely unexpected even though you’ve been told he was coming. I can tell you he is every bit as lethal as ever. There is also a character played by William Attenborough who is involved in this story as well. I can also tell you that Rusty will ultimately face a life or death situation. Pop Culture Principle – You’ve mentioned each season of Major Crimes has an underlying theme. What would be the theme of Season 6? James Duff – Faith is the theme of the first story. Reason is the theme of the second story and risk is the theme of the last story. All three of these themes intertwine in each movement of the story. If you think about faith and reason as pragmatism versus idealism and the balance that we try to achieve as we decide which risk to take with our lives, it makes sense that these three things come together. Pop Culture Principle – As a writer, have you enjoyed writing the multi-episode arcs as opposed to the one-off episodes? James Duff – I love doing it. We were told to do this by the network and frankly, I found it to be a wonderfully creative challenge. We had experience in doing these five-parters because we did one in Season 4 and we also did a sneaky five-parter during the summer of Season 5. We really loved this challenge and we found it exciting and invigorating. You know, television has changed so much since we began and to ride the rapids and to still be pretty much in control of the raft has been an amazing experience. This is the way television is trending towards bigger stories with bigger themes and we just embraced it and for better or worse, this is what we did. But of course, we are up to all of our usual tricks and don’t trust us.  As you are watching the show and you think it’s going to go one way or another way, don’t trust us. Never trust us because our whole motive is to surprise and shock you and we hope to do that. I think the end of the second episode is really good, but the end of episode three is much better. As the story deepens, it’s really about human beings and not about politics, although I couldn’t avoid the topic without looking inauthentic. It’s crazy, but I loathe writing about politics. I don’t consider myself to be a political authority for people to follow. I mean, I can talk politics with my friends, but I don’t have that relationship with the audience. Pop Culture Principle – We also saw two relationships take different turns in the fifth season. First, we see Andy propose to Sharon. Did you feel that proposal was done at the right time in the series and did it feel organic for the characters? James Duff – Well, some people said they thought the wedding was coming a little early, but they didn’t realize how long we were going to be off the air. We had originally planned to have them marry at the end of Season 6 and when we realized that this season was going to be the end of the show, we bumped up the wedding. We deeply wanted to do this wedding and Sharon wonders whether or not she should go through with it. So, there is hesitation. I don’t want to say the wedding happens without there being a lot of questions before they march down the aisle. They went on their first date in Season 3 and began to openly date starting in Season 4 and remember, they aren’t children. If you fall in love when you are 24 and you want to see how you get along for a few years, well, that’s different when you are in the later stages of middle age. When you are middle-aged, you move more quickly and you know right away if someone ticks all the boxes and you know if they don’t. Pop Culture Principle – Will we see where that relationship stands between Rusty and Gus in Season 6 and if there is any hope for the relationship? James Duff – Yes. Rusty is going to have to deal with the fact that he was ghosted for a reason and deal with that when Gus returns. First Rusty loses faith in Gus and then he tries to find a way to reason his way into figuring out what he should do and then he is going to realize that he’s going to have to take a risk one way or another. He’s going to have to risk being without Gus or risk being with him. I don’t want to say which risk he takes, but infidelity is something that many people deal with in their relationships and how you deal with that issue can sometimes be determinative. Pop Culture Principle – Rusty has been an important character to you and he’s grown so much since the beginning. If this is the final season of the series, how have you enjoyed writing this character that is so close to you? James Duff – It was a chance to revisit my youth and correct the problems that I suffered myself. I graduated from high school basically homeless and had a difficult time adjusting to college afterward having had to absent myself from my family, it left me traumatized and I didn’t know what to do. I didn’t have a very good spiritual guide during that period. I blamed myself for decades for some of the mistakes that I made in an acidic way and this allowed me to go back and look at my youth in a more forgiving mode. I did not write Rusty without my flaws. He still has serious flaws and he’s trying to overcome them and he’s doing it much faster than I did. Pop Culture Principle – Will we see the return of Kyra Sedgewick in the final season? James Duff – No. We made a deal for her to guest star in three episodes of Major Crimes and that deal was made in good faith and we both wanted it to happen. I am great friends with her and she’s one of my favorite people on earth. She didn’t leave The Closer and just hop on her couch, eat bonbons and watch The View. She produced a series, she did a movie that was number one at the box office for two weekends and she’s just directed a film for Lifetime as well as doing Ten Days in the Valley. So, she still has a very vibrant career and we tried to figure out if she would be available. I didn’t want to write a story that was Brenda dependent and then suddenly have her unavailable. She was going to come in and direct an episode of Major Crimes and three days into shooting, she got another movie. You don’t want to tell her she can’t do a movie because she’s shooting an episode of Major Crimes. It’s really sad because we wanted to do it and I know the audience might think that I am full of it, but I can’t release the details of the contracts, but it was there. I had everything in place and the contract was there and I wanted her to be on the show. She would have been a ratings bonanza and I love working with her. Unfortunately, in this business, sometimes people’s schedules get in the way. James Duff – They can look forward to surprises. They can look forward to thrills and shocks. They can look forward to the conclusion once and for all of the Stroh story and it will never be revisited and how it ends is just how it ends. 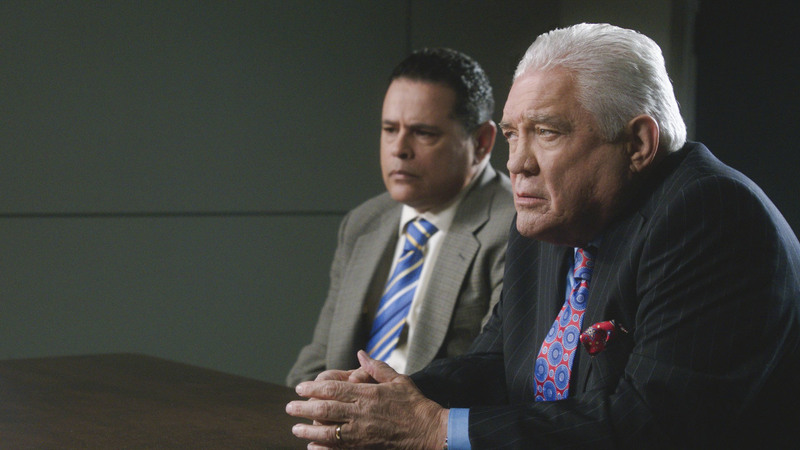 They can look forward to Provenza being challenged by his new circumstances. They can look forward to the best performance Mary McDonnell has given yet. She’s always been great, but she really raises the bar in these episodes. They can look forward to several storylines sort of meshing at the end and they can look forward to a defiant scene in the finale. The end of the finale I would call defiant. Pop Culture Principle – Does the season six series finale leave the door open for the show’s return if the series is picked up by another network or streaming service? James Duff – This is what I would say. There will always be a Major Crimes division and that’s probably a fact, but the Major Crimes that we are doing on TNT, we would not be doing that version of Major Crimes anywhere else. 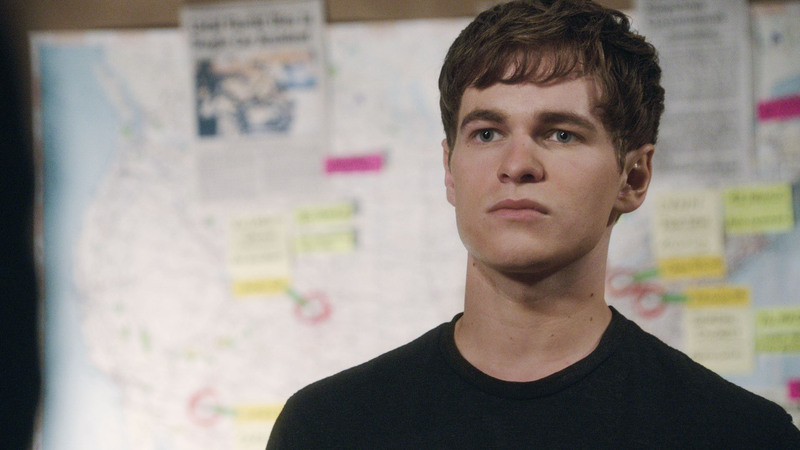 I don’t know if another version of Major Crimes would please people. I have many open questions about that. We live with inspirational pessimism and we went for a finale that would satisfy our fans. Five years ago, I think we could have moved to a streaming platform easily, but that seems much more difficult in today’s market because everybody wants to own everything. Pop Culture Principle – Major Crimes has had one of the most loyal and vocal fanbases in television. 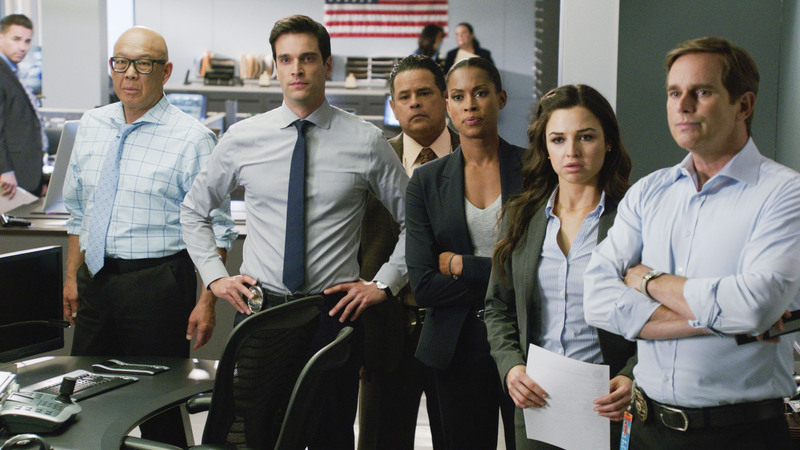 What would you like to say to the fans who have supported not only Major Crimes, but The Closer as well? James Duff – I would say to our viewers that they will be honored in the show and that we will speak to them directly in a way. I am hunting for a method whereby we can all hang out together after the show is over. I know many of our viewers by their first names and I never expected to have that experience. I am so emotionally attached to this community that I will look for a way to hold on to them and to keep us all together because we do feel like a family. I am very, very sad to see the glue that held us together sort of coming apart. We’ll see if we can find another way to hang on to each other. I believe we must because there’s just so many great friendships that have been formed in the process of making this show and we don’t want to let go of them. Pop Culture Principle – You’ve inspired so many people from around the world. As the creator of this series, how does that make you feel? James Duff – I just have to say that it is a humbling experience. I started out just trying to tell a story. As social media grew and I was able to include the audience, it was amazing. I honestly didn’t expect that many people to show up for my blogs, my Facebook posts or the interviews we did. I did it because as a kid, I would have loved that. Shows that I grew up on like Star Trek, it would have been amazing for me to be able to interact with the cast and crew, see behind the scenes stuff and things like that. I wanted to give that to the people who wanted it. I never, ever expected that we would have such influence and I hope I’ve used it properly. I have a lot of respect for our viewers and I love the idea that we may have inspired some people or we may have helped them through some hard times or we have helped connect people. I love, love that this is a side benefit of having done this show and it makes me so grateful for the opportunity. I do hope I’ve maximized the opportunities that I was given. I am glad to be a part of this entire community and family. Pop Culture Principle – What would you like the legacy of The Closer and Major Crimes to be? 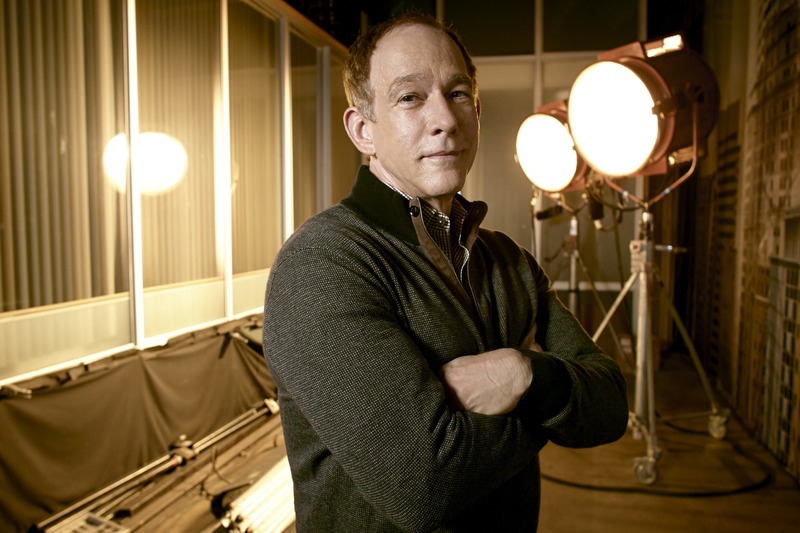 James Duff – What I would like for The Closer and Major Crimes to say when we finally wrap is that the justice system is a human thing and it does what we do for our reasons and we can make it better if we try. That is what the shows have been about. They have been about the concept of justice. If we can move the world just a little bit closer to the concept of justice, then I will be very proud of the legacies of both shows. The final season of Major Crimes starts on Halloween night at 9/8c on TNT. We would like to thank James Duff for sitting down with us and talking about Major Crimes! 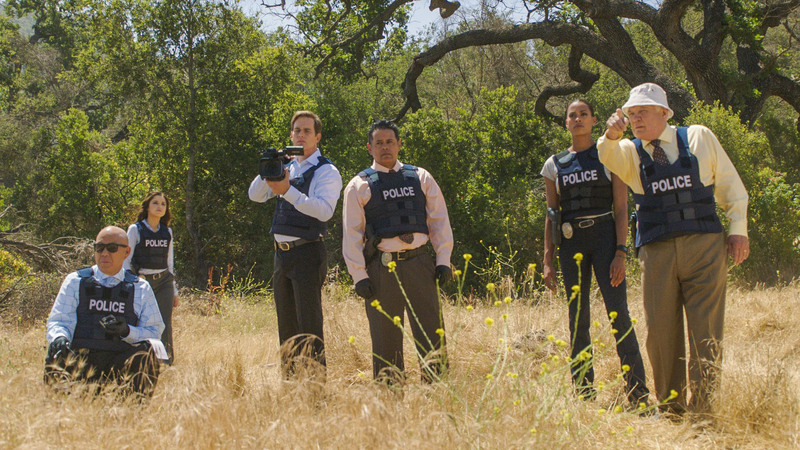 We hope you have enjoyed our Major Crimes Week. Don't worry, we have a few more cast interviews to share in the coming weeks. Stay tuned! 'The Orville' Gets Second Season Renewal At FOXMAJOR CRIMES WEEK - Season 5 DVD Giveaway!